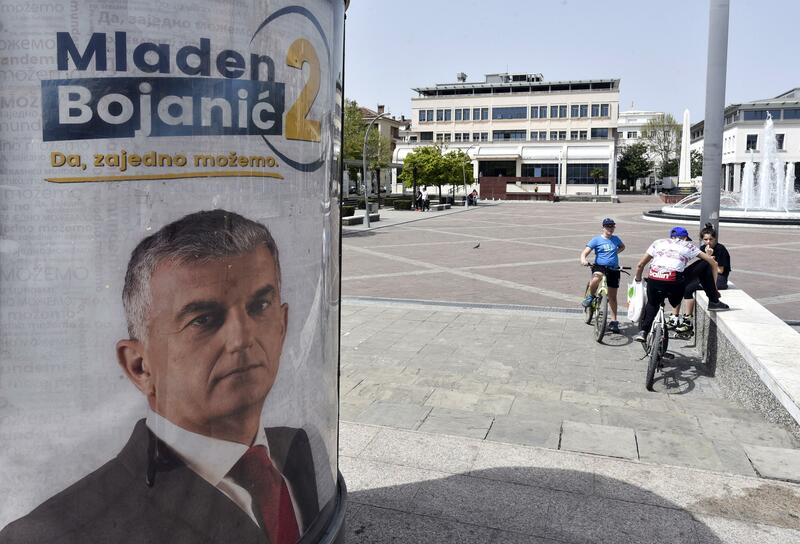 PODGORICA, Montenegro – Montenegro is holding a presidential election this weekend that will test the popularity of long-time leader Milo Djukanovic, who defied Russia to lead the Balkan country into NATO last year. The vote on Sunday is the first election for Montenegro since it joined the Western military alliance in December despite fierce opposition from traditional Slavic ally Russia. The outcome of the vote also is expected to reflect the level of public support for Djukanovic’s policies of Euro-Atlantic integration. Some 530,000 voters will choose among several candidates. Djukanovic leads the polls, followed by a candidate supported by various opposition parties – including pro-Russian ones – and the first ever female presidential hopeful in the staunchly conservative, male-dominated Adriatic state. Latest surveys have predicted that Djukanovic, representing the ruling Democratic Party of Socialists, could win more than half of the votes in the first round on Sunday and avoid a runoff vote two weeks later. Dominant in Montenegrin politics for the past 30 years, the 56-year-old Djukanovic has served both as president and prime minister. He led Montenegro to independence from much larger Serbia in 2006 and later into NATO. He hopes next to steer the country into the European Union. Djukanovic was prime minister during a tense October 2016 parliamentary election when authorities said they thwarted an attempted pro-Russian coup designed to prevent the Adriatic country from joining NATO. Djukanovic’s main challenger is Mladen Bojanic, who is backed by a diverse group of parties. They include the pro-Russian Democratic Front whose two main leaders are on trial for taking part in the alleged coup attempt. During the campaign, the opposition’s main argument has been a recent spike in crime-related violence and killings in the country, which they blame on Djukanovic’s government. Although Bojanic – who is predicted to garner some 35 percent of the votes – has promised to honor Montenegro’s international position, his victory could trigger political uncertainty. Analyst Sergej Sekulovic believes Djukanovic needs a triumph in the first round, and even a runoff vote would signal a possible shift in public opinion. “An opposition victory in the runoff would mean that people’s will has changed and that talks about early parliamentary elections would need to follow,” he said. Pro-Russian opposition parties behind Bojanic have pledged in the past to freeze Montenegro’s NATO membership and organize a referendum on the issue if they come to power. Two Russian military intelligence officers also have been tried in absentia for the failed plot that prosecutors said included plans to assassinate Djukanovic and take over power. Moscow has denied involvement. Lawmaker Draginja Vuksanovic, the Social-Democrats’ candidate, is making history as the first ever woman running for the presidency. Vuksanovic is trailing third in the polls with around 8 percent support. Published: April 13, 2018, 10:15 a.m. Updated: April 13, 2018, 10:16 a.m.